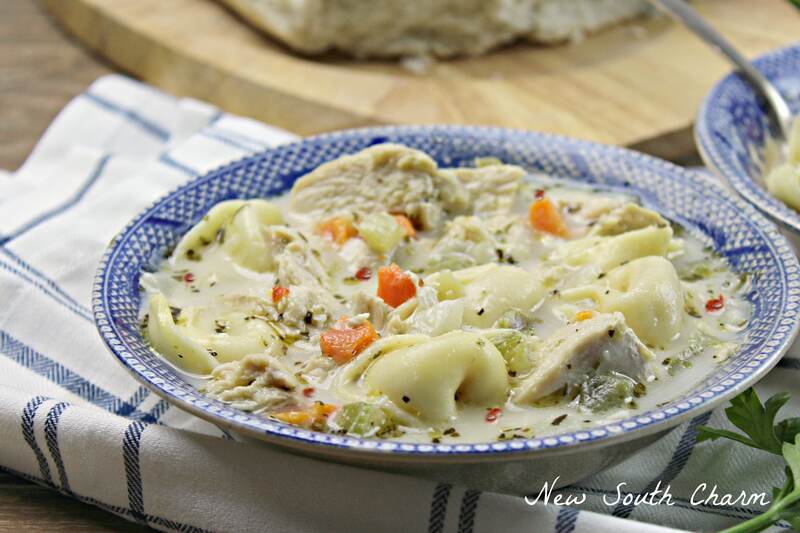 My husband declared this Easy Chicken Tortellini Soup best new recipe I’d made all year before he finished the first bowl. That’s how good this soup is. Trust me this is so good you’ll want to call me up and tell me all about it! There is just something wonderful about a bowl of soup. If you’re feeling under the weather it’s comforting. If you’re cold it will warm you and if you’re hungry it will fill your stomach. In my book soup ranks pretty high on the list of comfort foods. 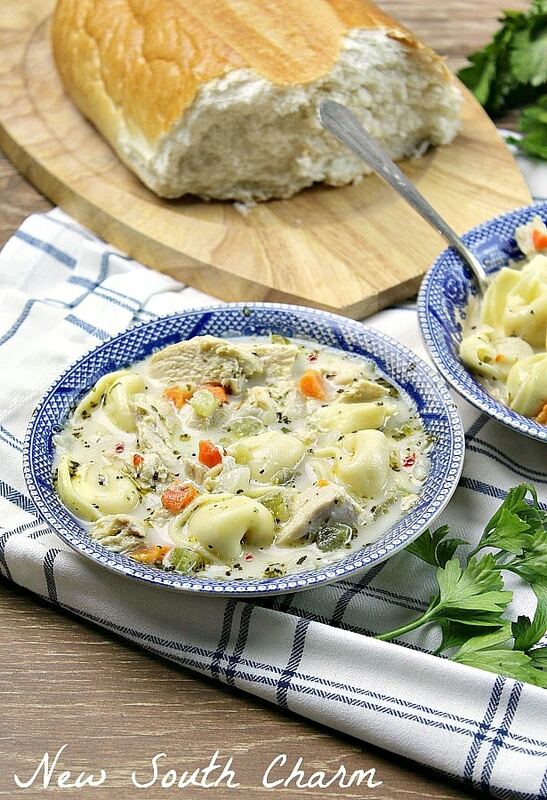 This Easy Chicken Tortellini Soup is full of great flavors like chicken and vegetables but it’s the tortellini that really steals the show. Plus, this soup has two of my very favorite seasonings: Italian Seasoning and garlic! If you don’t keep Italian seasoning in your spice rack you defiantly should. This seasoning is a combination of basil, marjoram, oregano, rosemary and thyme it’s perfect or all your Italian dishes. I love Italian seasoning so much I even add a teaspoon to jarred Marinara sauce for that extra punch of flavor. 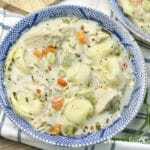 This recipe calls for mirepoix or a blend of carrots, celery and onion. There are two ways you can do this. The first is to chop the vegetables fresh or you can purchase a bag mirepoix blend vegetables in the frozen food section. If you’re looking for the fastest way to make this soup I recommend purchasing the frozen bag of vegetables. Not only will this save you time it will save you a little money too! Cowboy Goulash is my twist on a the traditional goulash recipe. 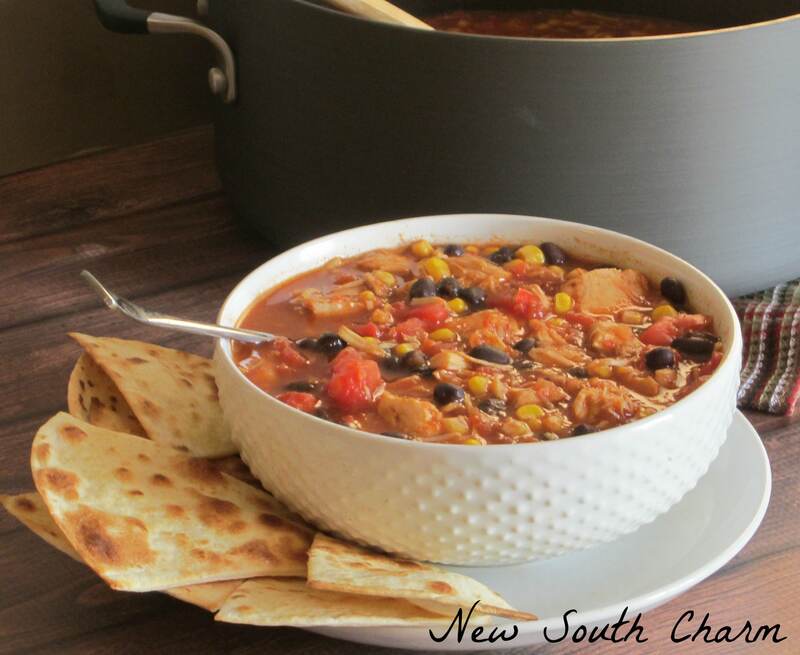 This version features lots of Tex-Mex flavors with just a enough spice to give it a kick. 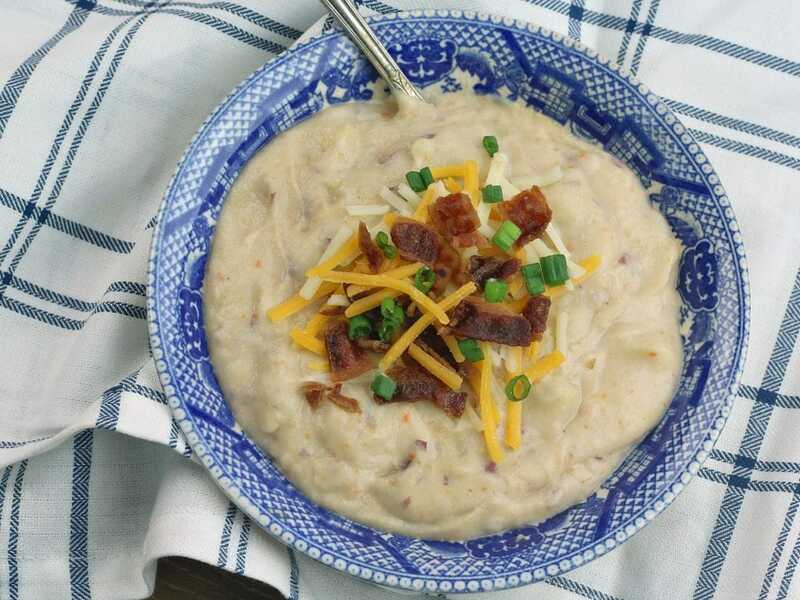 If you’re looking for an easy comfort food that with a lot of flavor this recipe is for you. 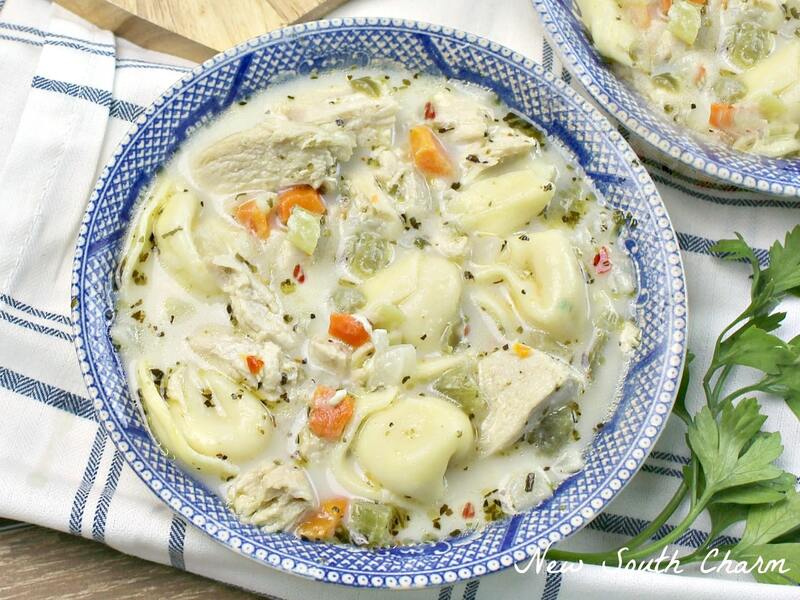 Easy Chicken Tortellini Soup is full of great flavors and so easy to make you’ll want to make it again and again!